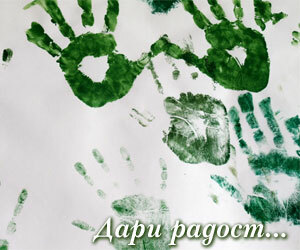 The Bulgarian Media Portal in Chicago » Blog Archive » Remember it! 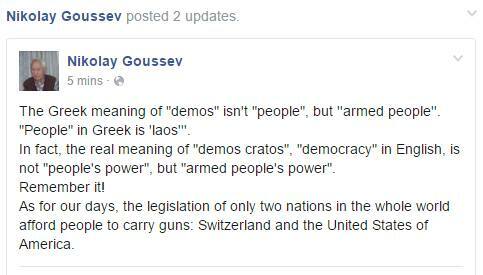 The Greek meaning of “demos” isn’t “people”, but ”armed people”. “People” in Greek is “laos”. In fact, the real meaning of “demos cratos”, “democracy” in English, is not “people’s power”, but “armed people’s power”. Switzerland and the United States of America!